No execution of death penalty! Sindh Minister for Law, Parliamentary Affairs and Prison Ayaz Soomro has categorically stated that the present government would not execute the death penalty against any prisoner in the province’s jails. “No convict of death sentence will be hanged until the Pakistan Peoples Party (PPP) government is in office up to March, 2013,” he asserted here on Wednesday at a press conference at the DIG Prisons Office. 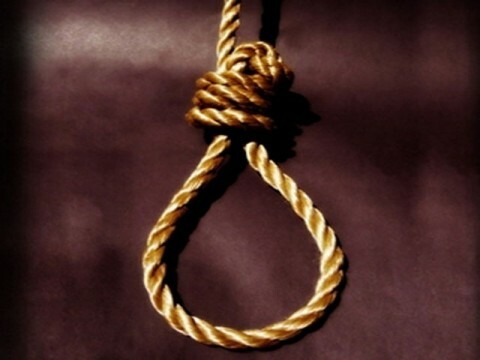 The minister mentioned that President Asif Ali Zardari had sought recommendations from all the provinces with regard to the death sentence and the province of Sindh had suggested that the death penalty should be turned into a life imprisonment. Talking about the recent jail riots which left an under trial prisoner dead and over a dozen jail police and inmates injured, the minister though condemned the incident but praised the timely action of the prison and district police. “We want to honour and reward the policemen who bravely stopped the jailbreak and also completed the operation in a few hours,” he said. Soomro told that the prison officials had tried to negotiate with the prisoners asking them what were their demands and how could they be met but the prisoners were hell-bent to break through the jail walls. However, he added, that an inquiry committee headed by the DIG Prisons Gulzar Channa was probing the incident as to how it erupted that day and would submit its report in 10 days. Earlier, he endorsed the version of the DIG Jails who maintains that the prisoners tried to break the jail and it was only then that the police resorted to shelling and aerial firing to disperse the protesting inmates. Soomro said that being a political worker he had himself served in the prison for over 3 years and that he understands the problems of the prisoners. “It is for this reason that we have been continuously providing them more and more facilities which they have never had since Pakistan came into being,” he added. The minister mentioned provision of radio and television sets inside the barracks, telephone, internet and video conference facilities in addition to quality food and paid labour in different trades. He informed that Sindh Technical Education and Vocational Training Authority (STEVTA) would begin technical training of the 1,000 prisoners in the jails in Sindh. “We want that when an under trial prisoner or a convict is released from the jail, he should be equipped with skills to find work and make a livelihood,” he said. When asked about the number of sensitive prisoners and presence of terrorism suspects and convicts in the jails in Sindh, the minister told that in the aftermath of the Bannu jailbreak the intelligence agencies had cautioned about the prisons in Karachi, Hyderabad, Sukkur and Larkana, out of the total of 27 in Sindh, for beefing up the security measures. “There are a few hundred terrorists (suspects and convicts) in these jails. Therefore, we increased the surveillance of the prisons to keep an eye on every dubious activity,” he told. When asked about the agreement between the coalition partners in Sindh government over the local government system, the minister informed that the PPP and MQM have reached agreement over instituting a system of metropolitan corporations. “There will be 4 metropolitan corporations in Karachi, Hyderabad, Sukkur and Larkana where Mayors and Deputy Mayors will head the local government while the district councils will represent a district, town committees the urban talukas and Deh committees the rural areas,” he explained. He expressed hope that soon the system would be introduced in the province. The minister was accompanied by the AIG Jails Aashiq Memon, DIG Jails Gulzar Channa, Deputy Secretary of the Home Department and other jail officials.